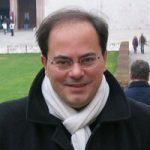 Francesco Pastore is Associate Professor of Political Economy at the University of Campania Luigi Vanvitelli & Fellow and Country Lead for Italy of the Global Labor Organization (GLO). Marco Pompili is Researcher at Ismeri Europa and GLO Fellow. In a recent GLO Discussion Paper, we have studied the effect of PIPOL (Piano integrato di politiche per l’occupazione e il lavoro), an integrated programme of active labour market policies, launched by the Italian Region of Friuli Venezia Giulia in 2014, to facilitate the increasingly difficult school to work transitions for young people. The programme grouped different funding sources, including those originating from the European Social Fund (ESF) and the Youth Employment Initiative (YEI), (an initiative supporting young people in European Union countries, living in regions with high young unemployment rate). The Programme provided employment and training services to increase the employability of participants. PIPOL is targeted at different groups of people with different needs: Group 1 includes young people aged 15-19 years at risk of dropping out of school; Group 2 includes young NEETs (Not-in-Education-Employment-or-Training) under the age of 30; Group 3 includes under-30 youngsters with a high-school diploma or a professional qualification attained within the last 12 months; Group 4 includes young people under-30 with a university degree obtained at least 12 months earlier; Group 5 includes unemployed people or at risk of unemployment. The participation in PIPOL is structured in three phases. Phase one is registration: young participants who think to be eligible can register on-line or go to a Public Employment Service (PES) or other institutions for specific groups. In phase two, orientation services are provided and participants are profiled according to their needs band; this service has to be offered to people within 60 days from the registration to the PESs. An individual action plan is established, showing the type of active policies to be administered. Phase three is the implementation of active measures, such as on-the-job training, classroom traineeship, labour incentives, support to business creation. Our evaluation focussed on the first stage of PIPOL, in particular on the interventions of off-the-job and on-the-job training completed by the end of 2016. Our analysis focused on 4,962 off-the-job training courses and 3,361 internships, that were completed by the end of 2016. In terms of participants, the study covered 7,175 young people, of which 4,059 women. Overall, 3,911 attended off-the-job training; 2,945 attended on-the-job training; and 319 both types of intervention. To assess the impact, we have resorted to a counterfactual approach: a control group is extracted by means of PSM or Mahalanobis matching among those who registered in the program over the years 2014-16, but have never benefited of the program. In other words, the econometric procedure is organized in two steps. In step one, we draw a random sample of individuals from the group of those who registered in the program but did not attend because of the lack of suitable financial resources. The selection is done in such a way that the target and control group have exactly the same characteristics. The Mahanobis matching is more accurate since it implies that only individuals with exactly the same characteristics are selected. In step two, we compare the probability to find a job by the program participants and the control group to see whether the former has a higher probability of employment than the latter. This allowed us controlling for observed heterogeneity through a battery of control variables (age, gender, citizenship, education, province of residence and also pre-program work experience) and for unobserved heterogeneity, by extracting the control group using the same pool of individuals registered in the program. We used data from two main sources: 1) different data banks from the administration of the program and 2) information on outcome variables obtained from compulsory communications that employers have to make to employment services whenever any labour contract is signed or completed/ended. What works? On-the-job training has the greatest impact! We found that the net impact of PIPOL is equal to 5 percentage point (pp) on average, meaning that people who benefited from the Programme have an average probability to be employed 5 percentage points higher than people who did not. The greatest impact was found for on-the-job training, and no significant impact was observed for in-room training. On-the Job training also increased the probability of finding permanent work (+3pp). This is consistent with the view of a youth labour market where young people have excellent theoretical competences, but very little work experience and work-related competences (Pastore, 2015; 2018). The off-the-job training programs did not show statistically significant impact on employment, but did affect the probability to experience at least one labour contract after 2016. These results are partly due to a lock-in effect, namely the tendency of those who attend training programs to put off their effort in job search. Interestingly, we found that the program has a different impact for different typologies of recipients and different types of intervention. The scheme seems to have a greater net impact in the case of women, foreigners and young people with lower education. Some forms of off-the-job training still have a positive net impact on employment chances (training to gain a qualification). Internships in manufacturing and construction show a greater impact than in the service sector, although the service sector is experiencing a larger expansion overall. This study represents an important addition to the Italian and global literature on programme evaluation regarding school to work transitions, considering the small number of such studies, noted also in the recent review of the literature by Card et al. (2010). It is one of the first analysis of the effect of interventions implemented within the YEI. To our knowledge, there is only a previous paper assessing the impact of YEI in Latvia (Bratti M. et al. 2018) and the evaluation of the Italian YEI (Isfol, 2016), the latter focusing on the very short-term effects. Our findings suggest that active labour market policies for youth are more effective in Italy when they are directly related to the production of work-related competences. Angrist, D. & J. Pischke (2009). Mostly Harmless Econometrics. Princeton University Press, Princeton. Bratti, M. & al. (2018). Vocational Training for Unemployed Youth in Latvia: Evidence from a Regression Discontinuity Design, IZA Discussion Paper No. 1187. Card, D., J. Kluwe and A. Weber (2010). Active Labor Market Policy Evaluations: A Meta-Analysis. Economic Journal, 120 (548): F452-F477. Card, D., & al. (2018). What Works? A Meta Analysis of Recent Active Labor Market Program Evaluations. Journal of the European Economic Association, 16(3): 894-931. Isfol. (2016). Primo Rapporto di valutazione del Piano italiano Garanzia Giovani. Roma: Ministero del Lavoro. Pastore, F. (2018). Why So Slow? The School-to-Work Transition in Italy. Forthcoming in Studies in Higher Education. Pastore, F. (2015). The Youth Experience Gap. Explaining National Differences in the School-to-Work Transition, Springer Briefs in Economics, Physica Verlag, Heidelberg. Patore, F. & M. Pompili (2019). Assessing the Impact of Off- and On-the-job Training on Employment Outcomes. A Counterfactual Evaluation of the PIPOL Program, GLO Discussion Paper No. 333. NOTE: Opinions expressed here are those of the authors and not of the GLO, which has no institutional position.